I quite often get into discussion about the number of openings in Limassol vs new openings in Nicosia. Funnily enough, I get the same views from both, Nicosians and Limassolians. The residents of each of these cities seem to have the perception that in the other city there are far more and far better openings. I think that living, in Limassol and originating from Nicosia (a city I visit 1-2 times a week), makes me someone who can be objective about this topic (yes, I am quite modest). 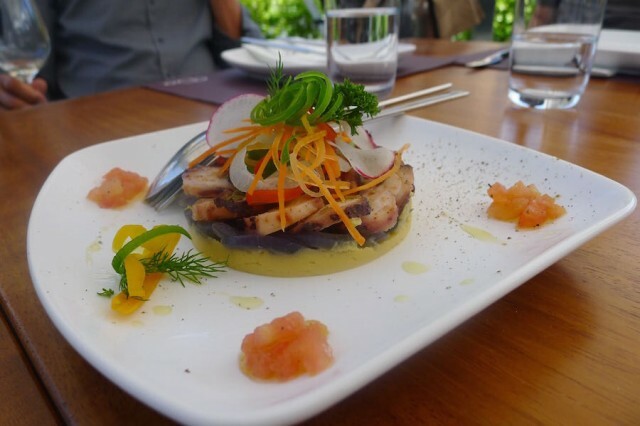 I think that there is probably a similar number of new restaurant arrivals in both cities but in Nicosia, we see more places that are a “must-visit” and there is a bigger buzz around most openings. In Limassol, however, a lot of places open and close without anyone noticing (and in fact a lot of them are not even worth visiting-sorry!). However, one new arrival every six months creates a massive buzz and manages to become the most hip place in the country (at least for a little while). A couple of years ago we had Nippon, at the beginning of this year we had Frankie’s Social and now we got Do’s. Although I have already been to Do’s quite a few times, I only realised Do’s was such a big hit last Saturday when I went for dinner and half of Nicosia’s and Limassol’s socialites were there. Packed! The fact that it belongs to the Uptown Square group (Zen, Chi, Estilo, Chesters, and Malindi’s) immediately creates a predisposition in terms of the level of quality and service. Fortunately, besides a few things here and there, I was not disappointed, and I can say this with confidence since I have visited it more than once. I always start with the positive things but perhaps I will start with the negatives this time: It is on the busiest street of the city, the “paraliakos” on the Amanthunta side which weirdly creates a feeling of dining on the pavement of a busy street. On top of that, the main sitting area is at the front of the restaurant on a large veranda with absolutely no decorative elements whatsoever. It actually reminds me of a university canteen. I also didn’t like the name as I don’t find it catchy and I don’t know how to call it, Do’s? Do? Do Wine & Dine? Ok, that’s it. Now the positive things. It is actually not that noisy, despite being on a super busy street. 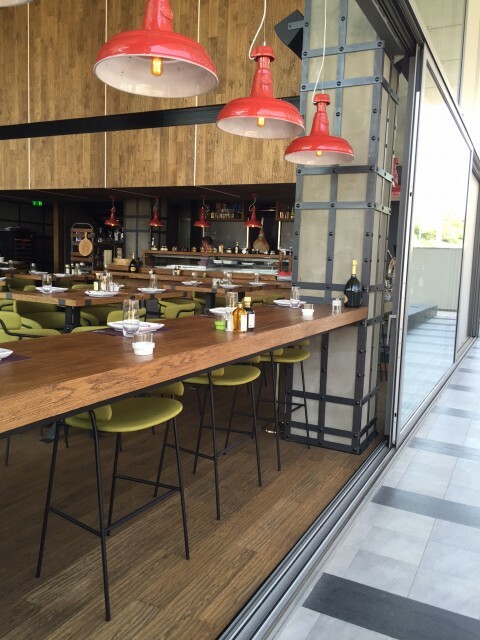 The inside space is quite pretty, modern and in fact cosy, with high tables and green comfortable stools. I liked the grey colour that prevails as it makes the place look quite elegant, and I loved the high ceilings. I also liked the long bar, a very attractive place for a casual drink. Although it is not the epitomy of design or innovation it feels very comfortable, stylish and pleasant. All of the above would have been irrelevant if the food was not good. I can’t tell you about the wine (yet-still have a month to go), but the food which is mostly Italian with international touches has never failed us. 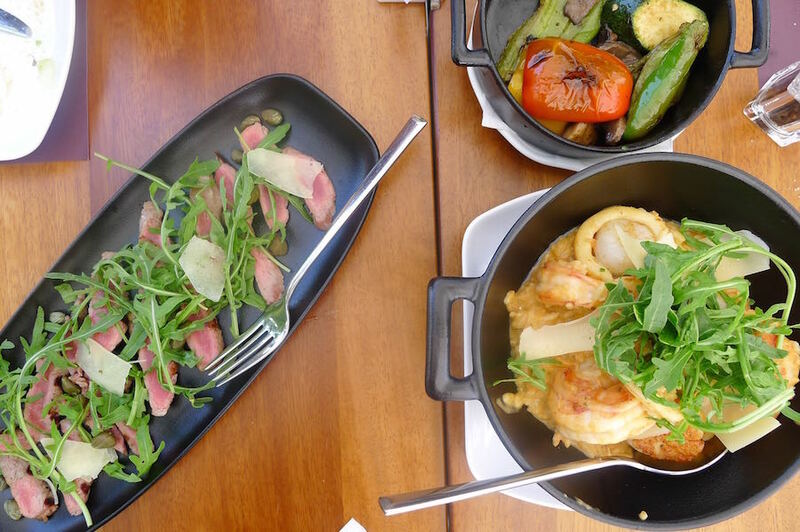 Must-try dishes are the seafood salad with scallops, shrimps and calamari and a refreshing dressing similar to a cocktail sauce, and the grilled octopus with a fava beans dip, a classic and tasty dish. The beef tagliata is also worth trying – it was full of flavour and very tender (although not served at room temperature). 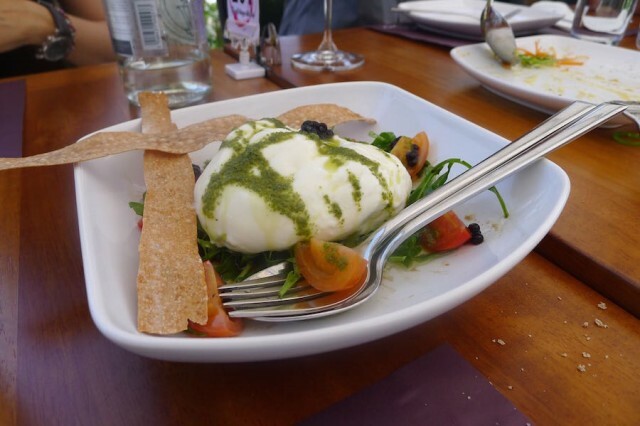 Everyone prefers the “Treccia”, a generously sized starter with mozzarella but I preferred the “Burrata” (creamy mozzarella) as it is a dish that I don’t find at reastaurants very often. 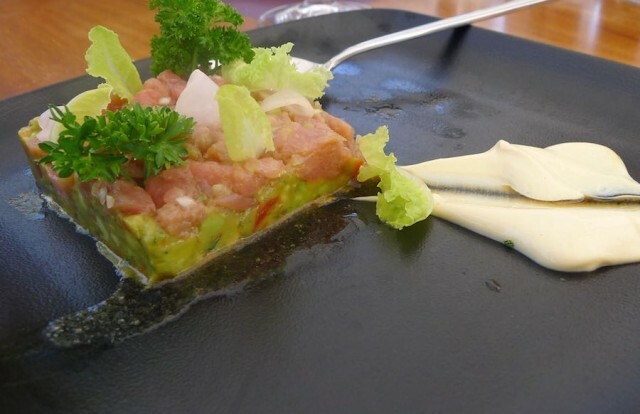 Tuna Tartare (mr Proud Cypriot’s favourite), was very refreshing, served with avocado and light mayonnaise sauce, while the aubergine stack (“Napoleon), with cheese was quite tasty with a mild cheesy flavour. I would definitely order it again but I would ask them if we could have it without the tomato marmalade, which I thought was too sweet. From the pastas, I loved the seafood risotto. It has a rich flavour as in includes a bit of cream but it wasn’t too much. I definitely preferred it to the mushroom risotto as I thought that was too thick in texture (but flavoursome). My least favourite pasta was the truffle and porcini linguini as I thought it was quite neutral in terms of flavour and I could not taste the truffle. Finally from the meat dishes I preferred the rib eye steak as it was quite tender. Mr Proud Cypriot said the pork chop with a mild glaze was the best dish (not the Iberico pork chop, but the plain one- something rather surprising). 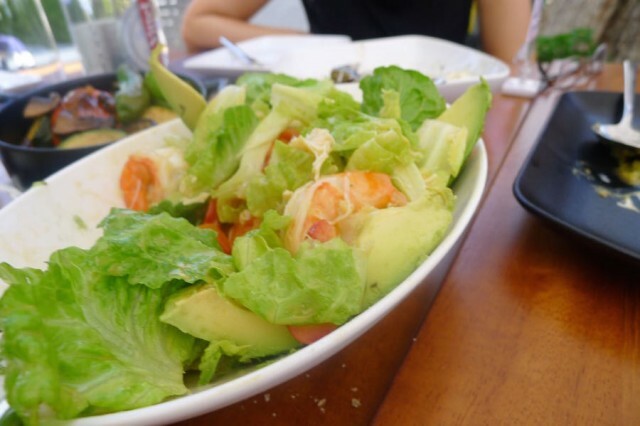 In hindsight, I would definitely go for a few starters, salads and pastas to share rather than main dishes. 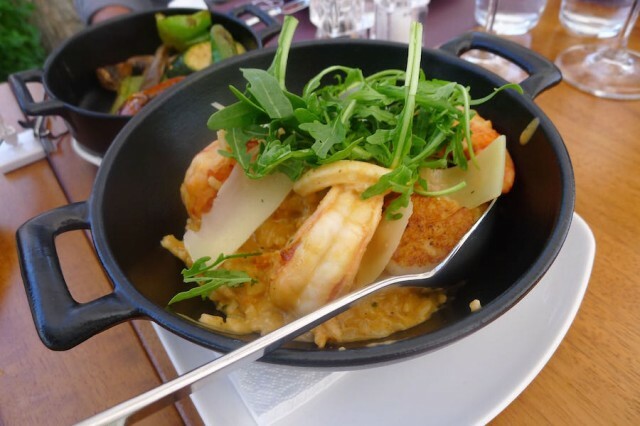 The main dishes were of equal standard and quality but were not as impressive as the rest. An equally good part of the meal was a must-have dessert. No matter how full you are you should definitely try the cheesecake and you will not be disappointed. Served with a forest fruit ice cream with a light flavour, it was truly the best ending to a lovely meal. Like Nippon, Frankie’s, Columbia Steak House and a couple of other places in Limassol this is a restaurant that everyone must try at least once. As it is quite casual makes it is an easy place to visit on any day (but do reserve a table especially on weekends). Looking at value-for-money, I would say that the price tags were OK. We always pay around 50€ per head with for a lot of food, wine and dessert. I can’t say that it’s cheap but I would rather spend 50€ and eat this, than 35-40€ and eat average quality food.